According to fourth century tradition, the site Jesus' fateful Last Supper. 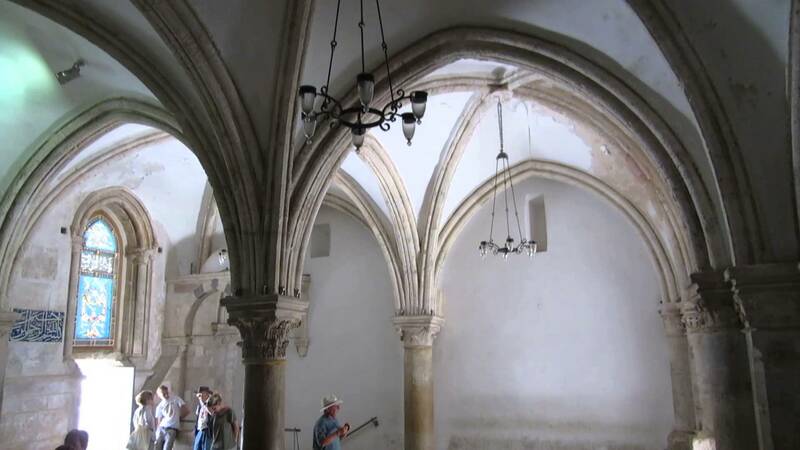 Located in Franciscan Church of the Coenaculum on Mount Zion, the Last Supper Room also known as the Coenaculum. According to fourth century tradition, the site Jesus’ fateful Last Supper. Located in Franciscan Church of the Coenaculum on Mount Zion, the Last Supper Room also known as the Coenaculum. The Coenaculum is divided by pillars into two naves, and has an adjoining smaller room that is kept locked at all times. It was in this small room that the Descent of the Holy Spirit upon the Apostles purportedly took place, while the larger room was the site of the actual Last Supper itself. Other significant events also took place on this site according to Christian tradition, such as the invocation of the commandment to love one another, the institution of the priesthood, and the appearance of Jesus on Easter Day. For this reason, the Coenaculum is referred to as the Mother of All Churches. The building that now stands on the site is only the most recent in a long and storied history. Part of the building was destroyed by Titus of Rome, and was later built into a church by Emperor Theodosius I. The church was later expanded and then destroyed twice, once by Persian invaders and once by the Muslim caliph Al-Hakim. The current building as it now stands was built by the Crusaders in the twelfth century. Franciscan monks occupied the Coenaculum until the Turks expelled them in the fifteenth century, turning the church into a mosque. It was only when the State of Israel was established in 1948 that Christians were permitted to return to the site.